Graveside services for Clifford W. Norvell, age 90, of Ponca City, who died on Saturday, April 6, 2019 at Integris Hospice House in Oklahoma City, will be held on Monday, April 15, 2019, at 2 p.m. at the I.O.O.F Cemetery, in Tonkawa with Tim Russell of Central Baptist Church officiating. Casket bearers will be Tony Norvell, Josh Norvell, Robert Norvell, Jr., Matt Jones, Lloyd "Dinky" Delano, Edward Barrilleaux, and Ryan Crawford. Honorary casket bearers will be Clifford A. "Bunk" Norvell, Jacob Wilson, Michael Jeffries, Tyran Brown and Roger White. Friends and loved ones may pay their respects at the funeral home in Ponca City from 1-8pm on Saturday, April 13 and 1-8pm Sunday, April 14 with the family present to greet friends from 2-4pm Sunday. Arrangements are under the direction of Trout Funeral Home & Crematory. Clifford was a resident of Ponca City for the last 40 years. He felt Ponca City was a very nice place to live. He was a retired rough-in carpenter. He enjoyed traveling a great deal. Eager to see new places. He had an open door and helped raise many. He was dad, grandpa and PaPa to most who knew him. Clifford was blessed to see five generations. 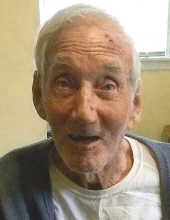 He enjoyed attending the PC Senior Center since June 2016. Stated, “the people there were very kind”. He Liked to play dominoes and reminisce about youthful days and activities. Clifford was born on July 31, 1928, in Garvin County to parents William E. and Ruth (Cottrell) Norvell. Oldest of four siblings. Clifford and his wife Evelyn raised seven children. He is survived by his sister Emilie Boxley of Lexington, OK; children; Stella and her husband Jerry Evans of OKC, Venida Mosier of OKC, Robert and his wife Janice Norvell of Ponca City, Dona Norvell of Ponca City; twenty-one grandchildren, sixty-one great grandchildren and fifteen great-great grandchildren. A host of relatives and friends as well. He was preceded in death by his parents; wife; brother, Dwayne Novell; sister, Geneva Brown; sons, Joe and Mark; and daughter, Carolyn Sue. Memorial donations may be made to the Ponca City Senior Center, 319 W. Grand Ave, Ponca City, OK 74601. To send flowers or a remembrance gift to the family of Clifford W. Norvell, please visit our Tribute Store. "Email Address" would like to share the life celebration of Clifford W. Norvell. Click on the "link" to go to share a favorite memory or leave a condolence message for the family.